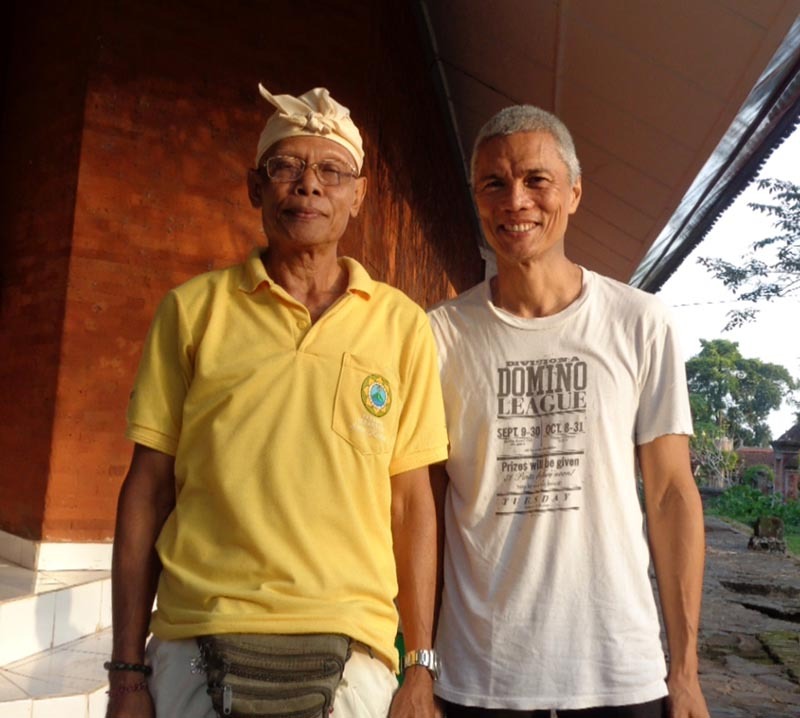 I first heard of Kalimasada years ago as an Indonesian psychic martial arts. I've always been fascinated with martial arts even as a kid. I took up Karate, Boxing and even Muay Thai back in the day. Details of Kalimasada are not clear but I was intrigued. 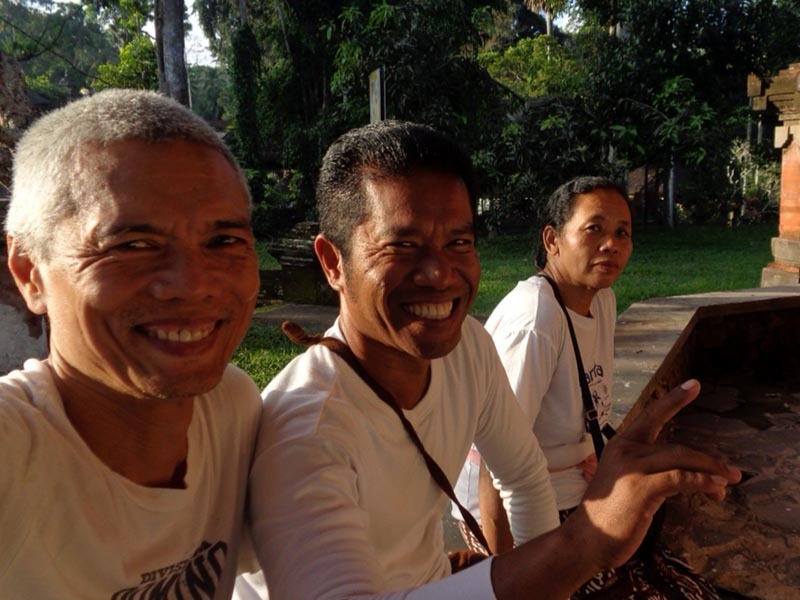 Here in Ubud, I had a spontaneous conversation with someone at Taman Hati Yoga Ashram and he mentioned he practised Kalimasada. Really? I had to make him invite me to his next session. According to practitioners in the Philippines, it's a psychic martial arts originating in Indonesia where you use energy to repel opponents away...something like a shockwave. But you don't touch the other guy - it's all energy. Something a little too spacey for me but I remained curious. Others say it's a healing energy. I've seen Kalimasada competition on Youtube video where opponents throw each other back 5 feet without touching them! Really trippy if real. This is the Kalimasada foundation based in Denpasar. 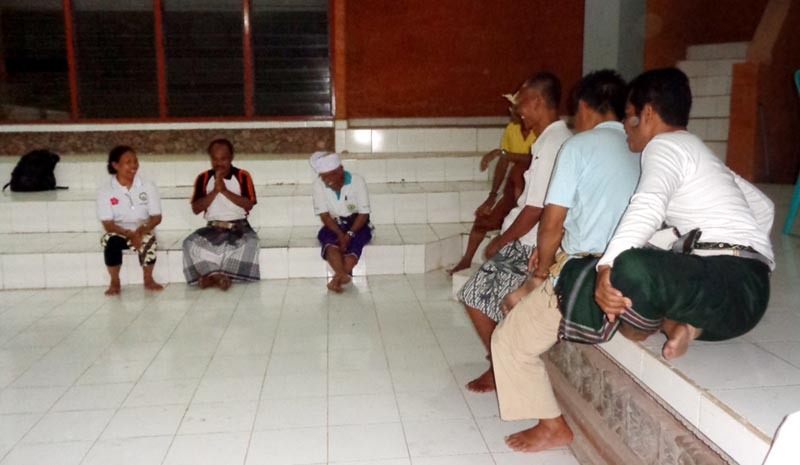 It has 3 centers, one being in Ubud near Samuan Tiga Temple. The main teacher is based in the Denpasar headquarters. 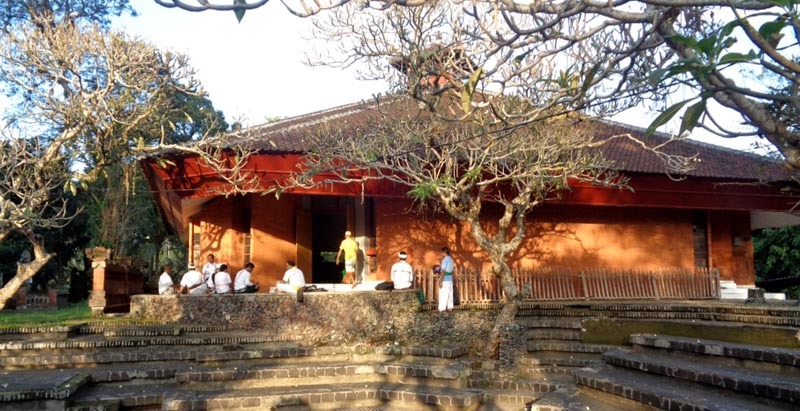 Here in Ubud, they hold 2 weekly sessions - Thursdays and Sundays. The sessions are conducted by an assistant teacher. At the outset, there was already a language barrier. 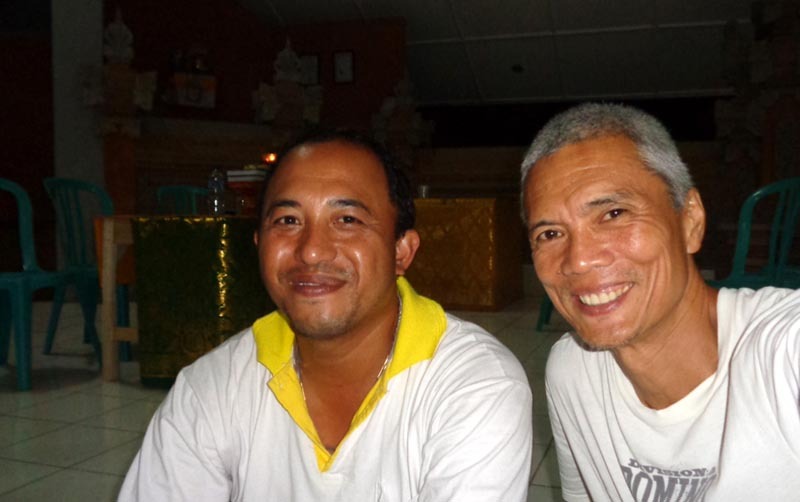 The guy I met, Agung, hardly speaks English and at the center, someone was assigned to translate for me, but his English was also challenged. Some were even giving me the questioning look when I mentioned Kalimasada since they emphasized that what they were doing was healing...not martial arts. Agung however assured me it was Kalimasada. The entire session was done in Balinese with my translator having a hard time to catch up. Overall, I may have only understood 10% of what was being said. We started staying seated while a lecture was given. I didn't understand what was being said. This was followed by going on the open space to do what seemed like a Karate Kata...or what yogis might see as Asanas. There was synchronizing movement with breathing and some forceful verbal yells. We moved within our space with lots of arm movements apparently harnessing energy. On a few intervals, they would ask me if I felt the energy. I said no. The assistant teacher then came to me and did some energy transfer. He asked me if I felt the energy. Again, I said no. One of the participants said I should go to Denpasar instead and meet the head teacher..the founder himself who can open my Third Eye. He said we all can open our Third Eye for increased power, but on our own, it will take a long time. 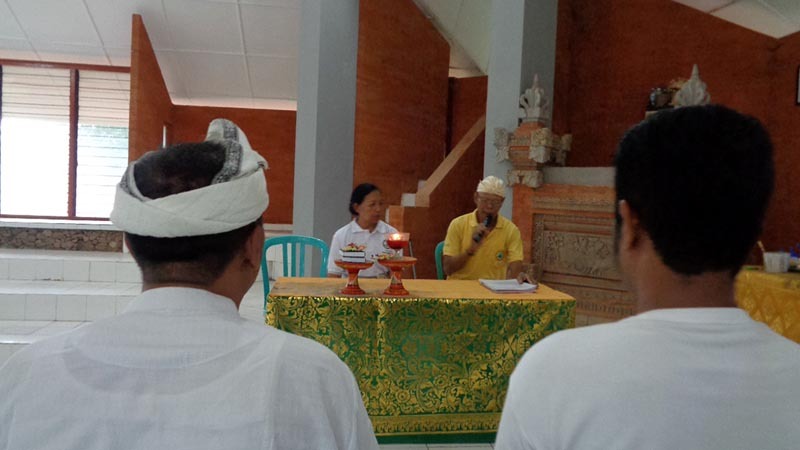 The teacher in Denpasar can do a 'short cut' by opening my Third Eye. It was daunting to make the trip. The foundation members were all very accommodating and helpful but I felt my presence was a distraction to them since someone had to translate and someone had to align and adust me on my Kata. Furthermore, the language problem was very frustrating. I could only understand about 10% and it was not an efficient way to learn - I was missing out on too many details. I could have continued attending the sessions, but I begged off already knowing that I wasn't getting the most out of the time and effort I would be spending. As for the supernatural ability of repeling an enemy and throwing him 5 feet back with pure energy, I respectfully asked Agung for a demo but he could not even understand what I was trying to say. So, no, I didn't see nor experience this power personally to make a validation for its existence. Thank you Agung and thank you to all members of Yayasan Segara Giri for taking the time and effort to accommodate me into your practice. Sacred Monkey Forest Sanctuary - there really is a monkey forest right in the heart of Ubud! best, cheapest, fastest and most comfortable (this is what I did for Ubud and in Singapore) - at the airport, talk to other white travelers waiting on the same gate if they are going to Ubud. Arrange for a taxi pool. With 3 guys, you split the taxi fare (usually IDR 200k + IDR 5k for airport entrance) three-ways. You end up paying just slightly more (IDR 68k) than roughing it through a series of bemos and vans.